The Huichol people live in west Mexico’s Sierra Madre Occidental. The most authentically 'traditional' of all Mexican Indians, they have recently become famous for their vivid yarn paintings, their sacramental use of hallucinogenic cactus, and the well-documented peyote pilgrimages that take them three hundred miles east from their present homeland into the north-central desert. In the mid-1960s, Peter T. Furst began a lifelong encounter with their intellectual culture, facilitated by a growing relationship of mutual trust with Ramón Medina, an aspiring Huichol shaman, storyteller, and artist, and his wife Guadalupe de la Cruz Ríos. Ramón, who became a full-fledged shaman with his fifth peyote pilgrimage, also had a Huichol name: 'Uru Temay, Young Arrow Person.' Over the years Furst published a number of articles on various facets of Huichol life, many of them centered on what he learned and observed during his growing relationship with Ramón and his people. Bound together by personal reminiscences and background explanations, Furst here brings many of those articles together and updates them. 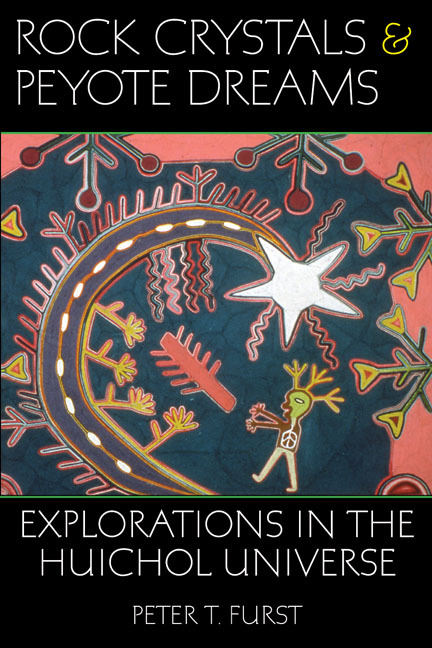 It includes transcriptions of myths that function as charters for 'being Huichols,' descriptions of deities, rituals, beliefs, as well as discussion of the place of hallucinogens in Huichol culture. Furst skillfully weaves current reflections with memories and older material in a manner that makes for a highly readable, contemporary presentation. Peter T. Furst is professor emeritus of anthropology and Latin American studies at the State University of New York at Albany, and research associate at the University of Pennsylvania Museum of Archaeology and Anthropology and the Laboratory of Anthropology at the Museum of Indian Arts and Culture in Santa Fe.